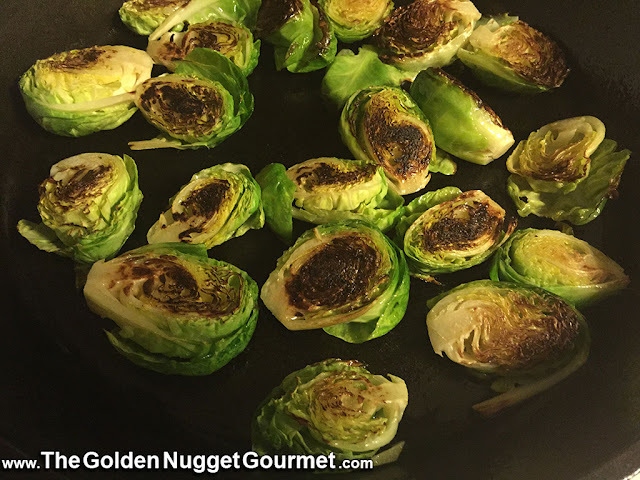 One of my favorite things to cook on my cast iron skillet is this simple seared brussels sprouts recipe from the NY Times. Using the cast-iron helps me achieve the charred affect, which is what really brings out the flavor of these brussels sprouts. So if you tend to burn things then this is definitely the recipe for you. These tend to disappear quickly so I make an extra large batch for a quick and healthy side during the week as they store well in the fridge and are easily reheated in the microwave.